I’m adding this card to their challenge. 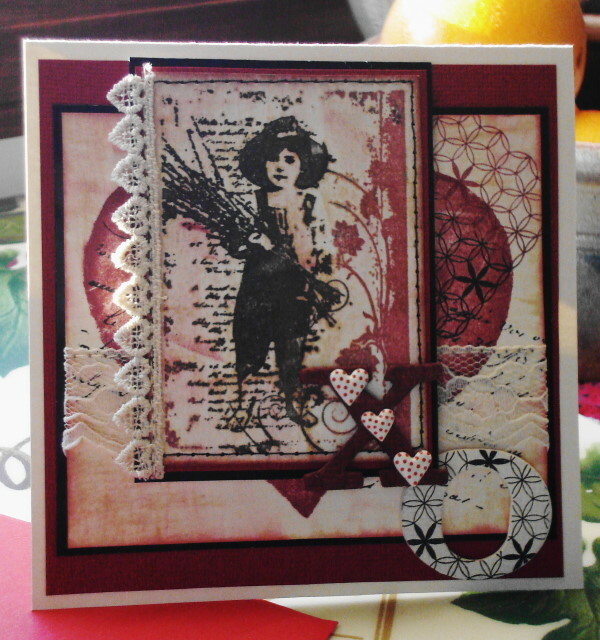 Stamp credits are Artistic Outpost, Stampin’ Up and Hero Arts. 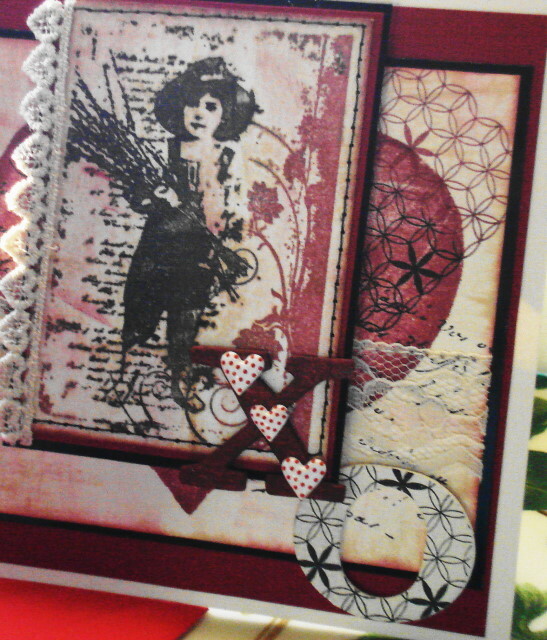 I used Tim Holtz’s “Word Play” set for my letters and my distressed markers. 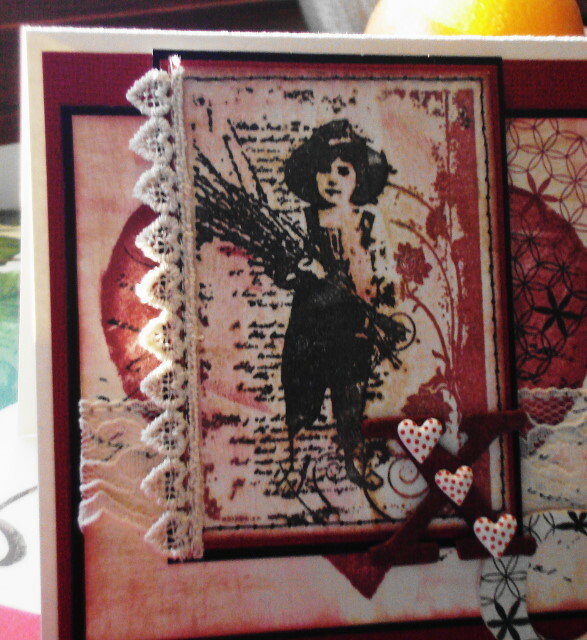 Added some lace and 3D hearts. Shabby Chic gorgeousness! Love this Valentine's sweet little card and all the elements! The hearts and XO is a great finish, GF! So nice to have you back! Hugs! Full of gorgeousness especially that lace (I know Vada but I cannot help myself lol) and those cute heart brads or possibly buttons. Ooh, this is just exquisite, Vada! Love the colors and the wonderful shabby feel you have accomplished. I never would have used that AO image for a romantic themed card, but oh my goodness, it worked fabulous. Really wonderful card - so happy to see you back in the blogging business - and great to have you with us this week at Our Creative Corner!